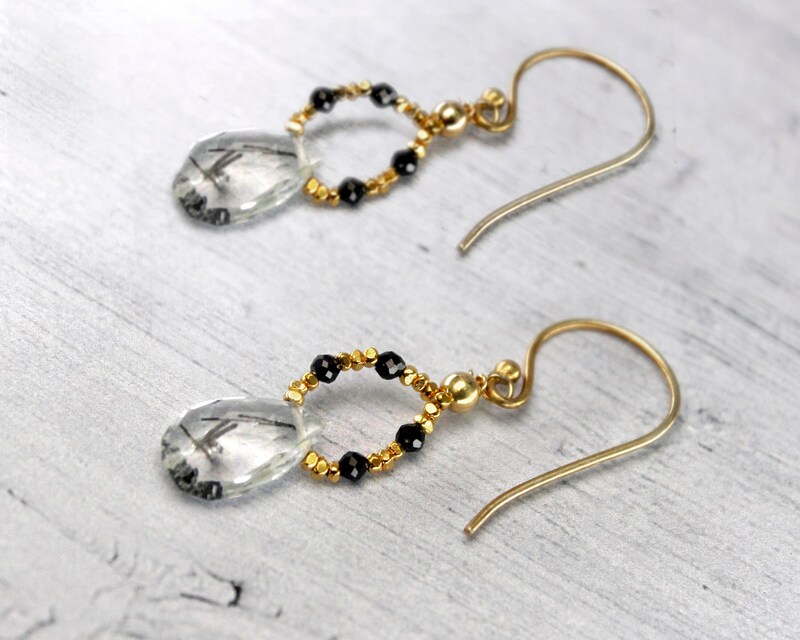 Black and white gemstone earrings. Truly unusual, yet subtle and simple. 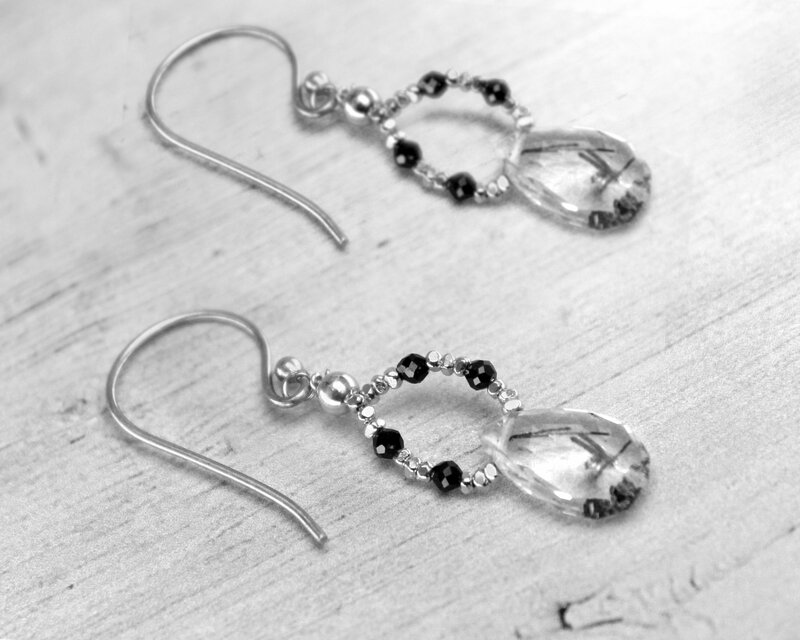 They have Hill Tribe Silver beads with spinel and rutilated quartz briolettes. I love how they are clear with shards of black. Handmade with love and they come gift wrapped. 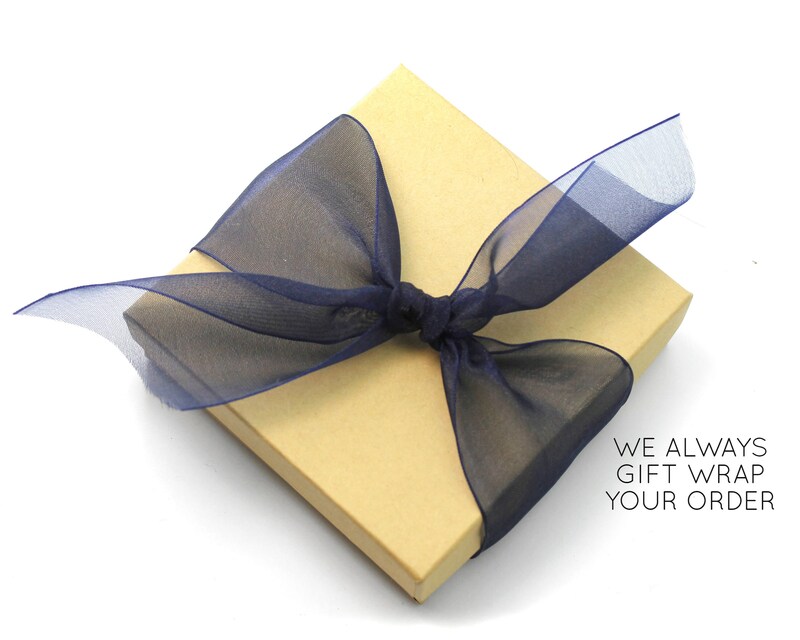 Our jewelry comes wrapped in a gift box with ribbon tie. If you order more than one item please tell us if you would like separate gift boxes for each.